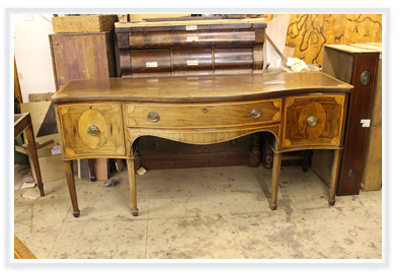 We like to think no antique furniture restoration job is too big, too small or too difficult whether it be in wood, tortoiseshell, mother of pearl, or ivory. 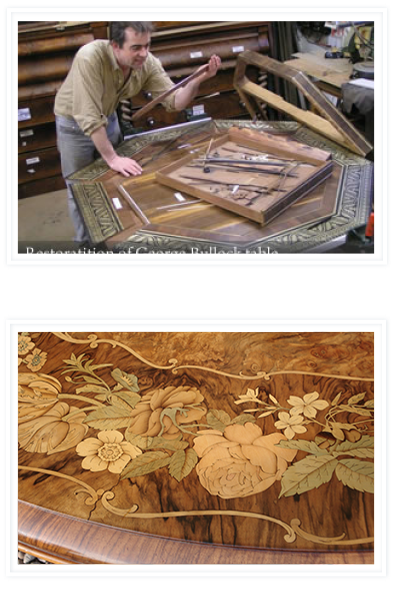 Restoration can involve all sorts of different skills from cabinet-making to carving, veneer work to marquetry, boulle and polishing. 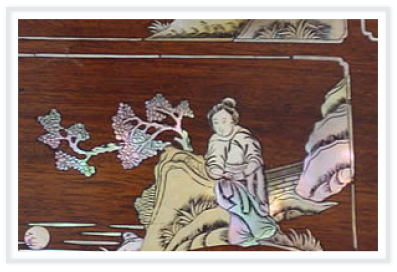 Veneer work and marquetry is a speciality at Gow Antiques. We have a large stock of old veneers and can carry out the most comprehensive job. We carry out all forms of cabinet-making for example making new legs, reconstructing whole pieces of furniture or making entire new bases for ornate cabinets. Old wood is used for all repairs whenever possible.  French polishing is carried out with extreme care. Many pieces have been stripped and over polished with use over many years. Wherever possible we retain the original colour and patina. Surface polish can be revived and brought back to life by either French polishing or using a traditional hard wax finish. All handles, castors, locks and other brasswork can be replaced, repaired or matched. Ormolu mounts can be re-gilded and aged as required. Leatherwork is also undertaken with a wide variety of leathers and gilt tooling. Upholstery, caning, and rush seating are sub-contracted to a local experienced upholsterer. Remember a treasured piece of good furniture restored well by Gow Antiques will add to its value and the price of the restoration will be a small fraction of the overall pleasure it will give you. We are all increasingly aware of the need for informed and sympathetic conservation of our heritage. 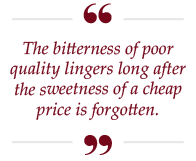 This is particularly true for antique furniture. Whenever possible we give clients an estimate of the likely cost of restoration once we have been able to inspect the piece properly in the workshop. We are always willing to give a rough estimate in situ prior to removal. Photographs of your piece of furniture during restoration are available on request. in respect of each item. The workshop is fully alarmed by a NACOSS approved security system for your added peace of mind. Customers should note that VAT is added to the estimated price. Our VAT Registration Number is 663 901 234. We have been asked to restore many fine pieces. This is not just simple restoration and conservation. We have made complete drawers for a bureau using old woods, keeping the original colour and aged surfaces. Other projects have been making a table base for an Austrian marquetry tabletop. This involves research into books and designing something in keeping, using the same woods as on the original top. We must then colour match, distress, and age the wood so everything blends together. Marquetry designs have been completely remade where necessary, replacing missing areas as required. This can be complicated and time consuming but everything is possible. We have repaired many pieces of boulle furniture which can be expensive especially when all the brass needs to be lifted and re-glued, re-cutting missing pieces. Laser marquetry cutting is a new technique which we have used for a Napoleon III cabinet on one occasion, badly fire damaged. Twelve panels were cut using acetate tortoiseshell and brass, which was later engraved. We have a large selection of different old and new veneers, which have been gathered from numerous different workshops over the last twenty years. This is essential for good restoration and matching missing pieces and replacing damaged areas. Over restoration has ruined many wonderful items in the past. Damage can be quickly carried out by over zealous restorers, the original finish and patina of years of waxing is impossible to repeat and must be kept at all costs. On this particular piece most of the damage was lifting veneers. We carefully lift the veneer and reglue with the traditional animal glue, all glues we use are reversible so one can always go back on the process if ever needed. It is considerably easier to reglue original pieces rather than remaking and matching new wood. If a piece has been neglected for years, the restoration could mount up. With this piece any missing marquetry was recut and colour matched as required and missing mouldings replaced and reglued. The base of this cabinet was not its original but a good copy all the same and they sat well together. 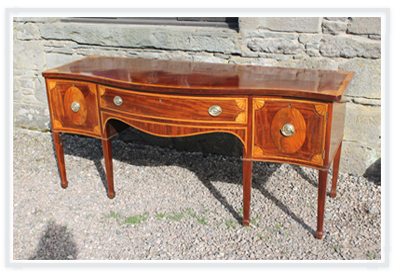 We do traditional French polishing, but wherever possible we try and revive and rework an old polish. Many pieces of old furniture, I believe, have been ruined in the past by stripping off some wonderful surfaces by over zealous restorers. Colour matching is also an essential part of the job, new pieces have to be blended in using different water based stains. Watermarks can be bleached out but some scars of age I personally like to see. Hard wax polishing is also carried out which can be preferred over other polishes in certain occasions. Commissions have been undertaken over the years, which have been making pieces of furniture of all kinds. I feel much of the furniture on the market is undervalued so pieces that have been commissioned are normally unusual. Below is an Austrian table that was commissioned, all made from native woods. The top is impressive but the legs have far more work in making them! Disaster management has normally been fire and flood damage. We are heavily involved in the assessment of furniture following a disaster. This service normally means visiting the property, advising on damaged items and compiling a detailed report for insurance companies. Photographic evidence can be supplied on request.